Although the subject of tempo was mentioned only sporadically and not always clearly in his letters he was all the more exact with their indication in his scores. In a thorough comparison of all 1.576 movements which have autograph tempo indications in almost every case it is possible to find a similar movement with the same meter, tempo word and smallest note values. Movements slower and faster by definition can serve as comparitive standard. In the vast field of literature on Mozart as well as in the pertaining expert congresses the topic of tempi - so extraordinarily important for the rendering – has so far been avoided with few excep­tions. Starting point for the researches for this book was a puzzle of 2.727 movements or parts of movements with a new tempo not yet collected in a data file. A compiled data bank of more than 100.000 fields with all the relevant specifications for each single passage proved to be a useful tool. In the five decades of research the author has tested his findings with singers, orchestras and choirs as a conductor in opera and concert. With new insights from literature and finally checking the latest state of the critical commentaries of the New Mozart Edition in May 2009, the studies of Mozart’s tempi could be expanded onto his total oeuvre with autographic indications, so that Breidenstein’s opus is now accompli­shed. For the first time the topic of the manner of playing – so essential for „the right logical rendering“ - is being treated in connection with the other parameters for the performance. Thus the interpreter is no longer exposed to his personal feeling, to his personal experimenting – nor to his intuition being overwhelmed by the lot of already existing interpretations. Of course the manner of playing can in no way be systematized; however it is interesting to find out which rendering of his composition Mozart had in mind when he chose with such conscientiousness among 420 modules (meter+smallest note values+tempo word) the most appropriate one for a cer­tain piece. 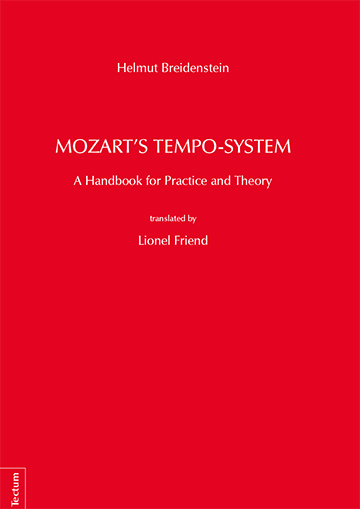 Knowledge of their qualities should be the presupposition for a musician in finding the appropriate mouvement within Mozart's Tempo System for his interpretation. But this has only marginally to do with what is today understood by "tempo". 1. "Mozart´s Tempo Indications: What do they refer to?" 2. "Das Tempo in Mozarts und Haydns Chorwerken"
ABSTRACT: Part I: "Musical time". Musical time can not be perceived independantly from the occurrences within it. That is why the term "mouvement" used in the 18th century does not only mean the physical speed but the movement of melody, harmony and rhythm in "space" (high/low) and within the hierarchy of accents as well. Even articulation (heavy/light; short/long) and the dynamics are comprised in it. The mere physical indications of the metronome which disregard the content of the music and the conditions of its rendering are therefore bound to miss the essence of classical music. Part II: "Twice as fast or twice as slow?" This part of the article shows by means of well known examples from Mozart’s church music and Haydn’s oratorios how the two composers determined the "mouvement": they used a combination of meter, smallest note value and tempo word. The old rule that ¢ means "twice as fast" is after 1770 no more valuable except for ecclesiastical fugues in the stile antico. The "twice as slow" of the school of Retze Talsma, the so called "metrical theory" is clearly proved wrong by Mersenne 1636, D'Onzembray 1732, Choquel 1762 , Gabory 1770, Joh. Nep. Mälzel and Gottfried Weber 1817, Adolf Bernhard Marx 1835 and Carl Czerny 1839. (for the concerning textes click on "Metronom"). 3. "Mozarts Tempo-System. Zusammengesetzte Takte als Schlüssel"
This is why the purely physical metronome indications of the descendents for Mozart’s works are wrong in principle. The compound meters are here for the first time examined methodically by help of well-known examples from Mozart‘s works. Detailed quotations from Kirnberger, Marpurg, Heinr. 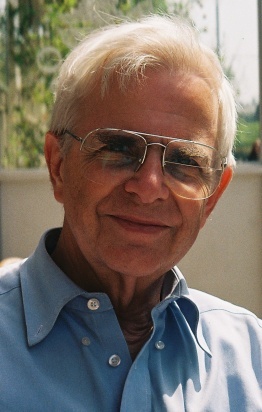 Christoph Koch, J.A.P. Schulz, Türk, G. Weber will prove that applying the two generations older Quantz‘ pulse-related tempo table to Mozart is just as much a misunderstanding as the assertion of a still applicable ‚integer valor‘. A thorough comparison of Mozart's 1.576 autograph indications will clarify the order and characteristics of his tempi and explain the logic in his tempo system. It can be shown that Mozart’s "andantino" in contrast to Harnoncourt‘s argumentation is faster than his "Andante". Your opinion on my theories, your propositions, objections, comments, or criticism will be highly appreciated. The new answers to the 200 year old questions, which I try to give in my texts, could very much profit by a broad discussion. I look forward to your mails!